On this mission, SpaceX’s Falcon 9 rocket will deliver two commercial communications satellites to Geostationary Transfer Orbits (GTO). The two satellites, EUTELSAT 117 West B and ABS-2A, are operated respectively by Eutelsat and ABS – two companies that provide global communications services to a variety of users. 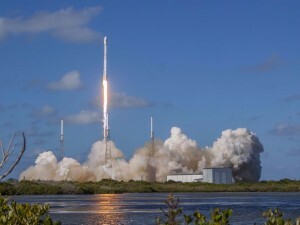 SpaceX is targeting launch from Space Launch Complex 40 at Cape Canaveral Air Force Station, Florida on June 15. The approximately 45-minute launch window opens on June 15 at 10:29am ET, 2:29pm UTC. EUTELSAT 117 West B will be deployed approximately 30 minutes after liftoff, and ABS-2A will be deployed 5 minutes later.